The Rev. Gene Davis Reynolds, 81, of Sheffield, passed away Friday, Jan. 18, 2019, at North Alabama Medical Center, Florence, after complications from a stroke. He died peacefully surrounded by his family. Visitation will be noon-2 p.m. Saturday, Jan. 26, at Sheffield First Church of the Nazarene. The funeral will follow at 2 p.m. with the Rev. Sharon Keffer officiating. Burial will follow at Greenview Memorial Park, Florence. Pastor Reynolds is survived by his wife, Kathryn “Kitty” Reynolds, Sheffield; daughter, Gina Reynolds Haskins and her husband, Shelly, Huntsville; son, Lin Allen Reynolds and his wife, Tanya, Florence; grandsons, Bryce Allen Reynolds and Peyton Davis Haskins; sister, Jo Reynolds Stover and her husband, Harold, Blythewood, S.C.; nephew, Keith Stover, Columbia, S.C.; nieces, Kimberly Stover Young, Dickson, Tenn.; Maria Jeffcoat Urbanek, West Columbia, S.C., and their families. He was preceded in death by his parents, Adelle Loyd “Al” Reynolds and Vermelle Snelgrove Reynolds, Blythewood, S.C.; sister, Frances Reynolds Jeffcoat; brother-in-law, Furman Jeffcoat, Cayce, S.C.; and his father-in-law and mother-in-law, Arthur Allen Stover and Vera Stover, Charleston, W. Va.
Pallbearers will be his grandsons, Bryce Allen Reynolds and Peyton Davis Haskins; nephews, Keith Stover and Chuck Urbanek; longtime friend, Lloyd Hunt; and family friend, Jamie Skipworth. Pastor Reynolds was born Oct. 19, 1937, in Columbia, S.C. He accepted the Lord as Savior at the age of 14 and surrendered to the call of ministry while attending Trevecca Nazarene College in Nashville, Tenn. He went on to attend Nazarene Theological Seminary in Kansas City, Mo. During his more than 50 years of ministry, he served churches in New Ellington and Aiken, S.C., Louisville, Ky., Manteca, Ca., Cincinnati, Ohio, and St. Louis, Mo., before moving to Florence. 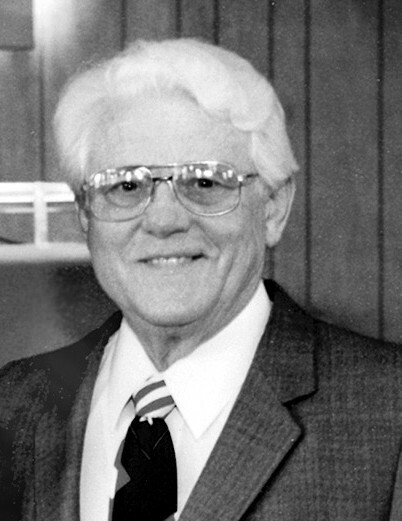 After retiring from full-time ministry, he served several churches in interim or part-time roles. He often told his family that he considered it an honor and privilege to have served as pastor to so many people and to be able to share God’s love and powerful saving grace. Pastor Reynolds loved all people, but most of all his family. He was fiercely devoted to them and helped create a loving, adventurous, amazing life with them. He and Kitty celebrated their 58th anniversary in November. He delighted in his family and encouraged Gina and Lin to follow their dreams and passion. He was always their biggest fan. His grandsons, Bryce and Peyton, were the lights of his life, and he loved his daughter-in-law and son-in-law as his own children. He was a wonderful example of unconditional love and lived his life showing people how to love others and the Lord. 1 Thessalonians 4:13 says that those who mourn for loved ones in Christ “do not grieve as those who have no hope.” His family and those who loved him take great comfort in knowing that he ran the race well and was welcomed home by his heavenly father.